Since my last blog, the annual Jefferson Highway Association Conference, has come and gone, with members already anticipating next year’s 100 year celebration in Muskogee, Oklahoma (April 30–May 2, 2015). As a new member, I was impressed with the dedication of those who organized the event and carried on the business of the association. Presenters were Carol Altepeter, Manager for the Central and Northwest Region of Explore Minnesota Tourism (the state tourism office); Charles A. Zelle, Minnesota Commissioner of Transportation and former CEO of the Jefferson Bus Lines; James Fogerty, of the Minnesota Historical Society; and Dr. Verlyn D. Anderson, a retired Professor of Scandinavian Studies and History at Concordia College at Moorhead, Minnesota. Local historian, Frank Mitchell, and I were part of the program, presenting photos, maps, and information on the Jefferson Highway in Minnesota and Hubbard County. Photos and a recap of the program and area bus tour will appear on the Jefferson Highway Association’s website in July (click here). Click here for a conference writeup in the Park Rapids Enterprise. 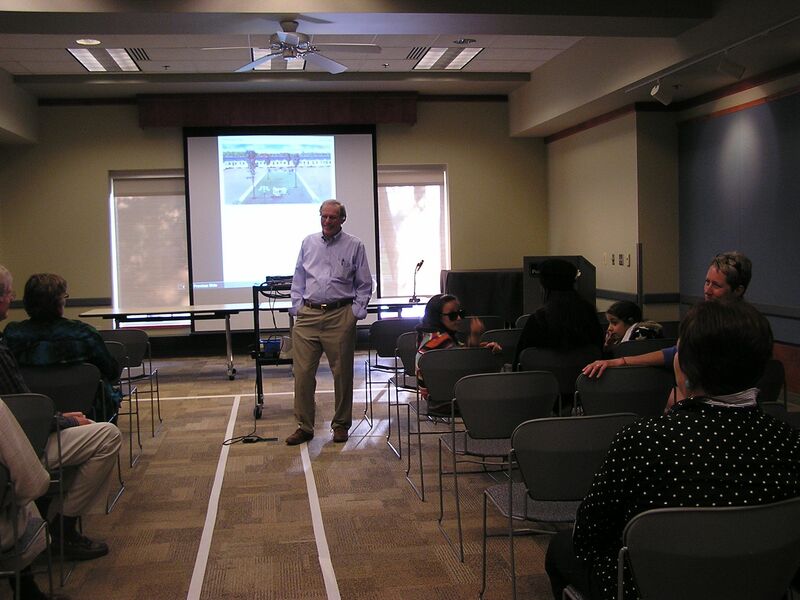 On June 12, I was asked by the Austin Public Library director to speak about The Early Resorts of Minnesota for a Summer Reading Program for Adults. Austin has a large and vibrant library, with an energetic director, Courtney Wyant. The facility houses over 100,000 volumes and serves Austin and the Mower county area of approximately 30,000 residents. 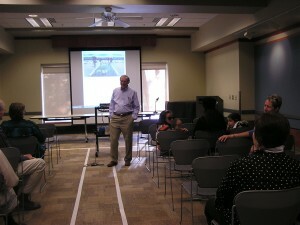 I was pleased to be a presenter at the outstanding library (click here for more on this library’s history).